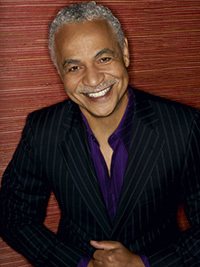 University of Evansville theatre alumnus and member of the Board of Trustees, Ron Glass ’68, passed away at his home in Los Angeles, California, late Friday evening. Please keep Ron’s family and friends in your thoughts and prayers. Associate professor of low brass Kenneth Steinsultz and assistant professor of voice Eric McCluskey will present a joint faculty recital in Wheeler Concert Hall this evening, November 29, at 7:30 p.m. The program will feature various works from the Romantic and Modern eras, including Donald H. White’s Lyric Suite for euphonium and selected Lieder from Robert Schumann’s song cycle, Dichterliebe. Professor of piano Anne Fiedler will accompany both performers. The concert is free and open to the public. The next Lunch and Lead is set for today - November 29 - at 12:30 p.m. in Eykamp Hall, Room 252, Ridgway University Center. Playtime is still important as an adult! Discover new ways to incorporate fun and interactive games into your leadership style. This Lunch and Lead is presented by assistant director of leadership development and residential coordinator of Moore Hall Melinda Daniels. This event is free and open to all students, faculty, staff, and UE community members. We encourage attendees to bring their lunch with them to these events. All are welcome to join us for Mass this Sunday at 1:00 p.m. in Neu Chapel. Fr. Tony Ernst will be our celebrant. Hope to see you there! For more information contact Olivia Voegerl at ov4@evansville.edu. The Changemaker Challenge is hosting its first training session on creative problem solving and design thinking today from 5:30-7:30 p.m. in Eykamp Hall, Room 251, Ridgway University Center. Omar Atia, co-founder of ThoughtFire and expert in multi-discipline engineering, will train students in how to take ideas to implementation. On December 4, the Newman Club will be baking cookies for the Ronald McDonald House. The event will take place at the Newman Center at 2:00 p.m. Hope to see you there! For more information, contact Paige Hignite at ph89@evansville.edu.